So quips Christy Canoy Paypa in discovering life’s realities born from travails she has had as a daughter of a family in poverty and as a student blessed as a scholar since high school and towards college. For indeed, luxuries would just come in God’s time for as long as one would remain focused with one’s goals and committed to one’s professional obligations, especially when one continues to dream. Dreams have begun to be possible for Christy. Yet, she continues to dream, aiming to be a lawyer someday, aware nonetheless that she must first attend to present obligations as an employee now of her patron of eight years as a scholar. 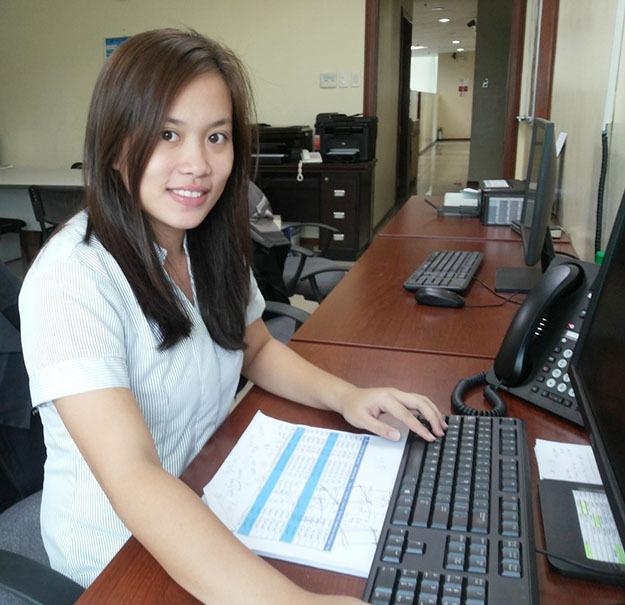 Taiheiyo Cement Philippines, Inc. (TCPI) sponsored her education since high school and got her on board last summer with Karen Dave G. Mamugay and Gabriel V. Canque, a month after they completed their tertiary education. University of San Jose – Recoletos (USJR) graduated them in March 2016 with Christy and Karen earning a degree of Bachelor of Science (BS) in Management Accounting, while Gabriel finished BS Mechanical Engineering. 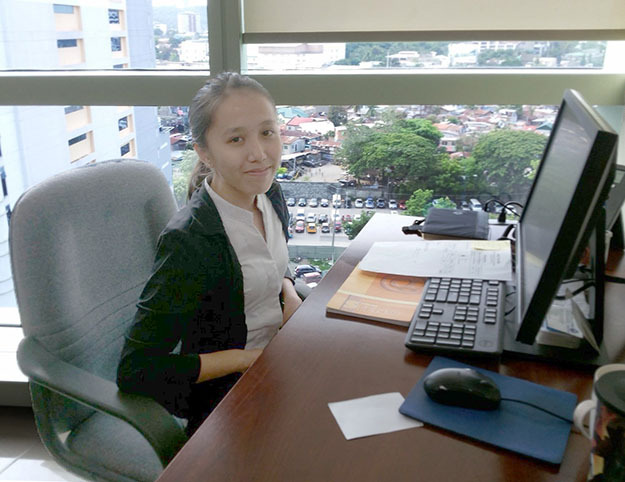 Having passed the stringent screening process at the Human Resources and Administration (HRA) department of TCPI, Christy now works as contracts and legal documents management staff, bared TCPI HRA division manager Esther P. Cola. Karen now serves as customer service attendant, while Gabriel has been assigned as mechanical technician at the plant, she added. The three join management accountant Gina S. Embolode and computer engineer Reyvin G. Dorig who TCPI hired in 2014 as accounting staff and desktop support staff, respectively. Dorig was among the first batch of three college scholars who started in 2009, while Embolode was among the second batch and also among the first three high school scholars who got carried over for college scholarship. Mamugay and Canque are from the third batch of college scholars, while Paypa is among the fourth batch that started in 2012. With batchmate Deniel Jireh Corpuz, who is now in his fifth year in BS Mining Engineering at CIT University, Christy is among the first five high school scholars to proceed to college with the help of TCPI. 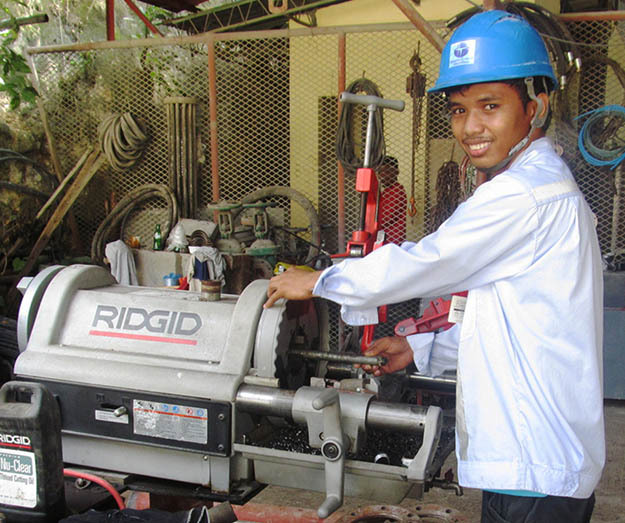 The other five of the first 10 graduates of TCPI’s college scholars now work with different firms. Three of them have become certified public accountants (CPA) — Jeramel L. Geralde, Geraldine P. Gorre and Rutchiel Mae G. Geraldizo. The other two are management accountants Donalyn A. Tambacan, the first college scholar to graduate and now pursuing law studies while at work, and Vincent Nie Villarin. Born on June 29, 1996, Christy completed her secondary studies at Magsico National High School in 2012 as a TCPI scholar, coming from Magsico Elementary School. Karen, who breathed first on Aug. 22, 1994, studied at Pitalo National High School in 2011 after North Central Elementary School; while Gabriel, who first saw light on March 24, 1995, graduated also in 2011 from Notre Dame Academy after Pitalo Elementary School. It was only four years ago on June 16, 2012, in accepting the challenge on behalf of the 60 scholars then, Christy declared they would strive hard to make their dreams a reality, and never to fear failure. Christy, Karen and Gabriel have expressed their deep gratitude to TCPI and its materials supplier and port operator Solid Earth Development Corp. (SEDC) for their joint scholarship program and for TCPI in further hiring them. The three come from families with just marginalized means for a living. They recalled having mixed feelings during their high school graduation, happy that they completed secondary education but anxious that college was a dim prospect. “(TCPI and SEDC) have been my bridges towards education,” said Christy. “It is neither a desire for an abundant living, nor an aspiration for a greener pasture, but (this is) an expression of sincere contentment and gratitude that I have become a part of the (TCPI) family,” she added. Having been able to study and finish college would be most meaningful for Karen who lost her father before she could finish high school. TCPI and SEDC filled the void even after college now that she had been hired. This entry was posted on September 5, 2016 by Cerwin in Taiheiyo Cement.